Both used to support load by varying air pressure. 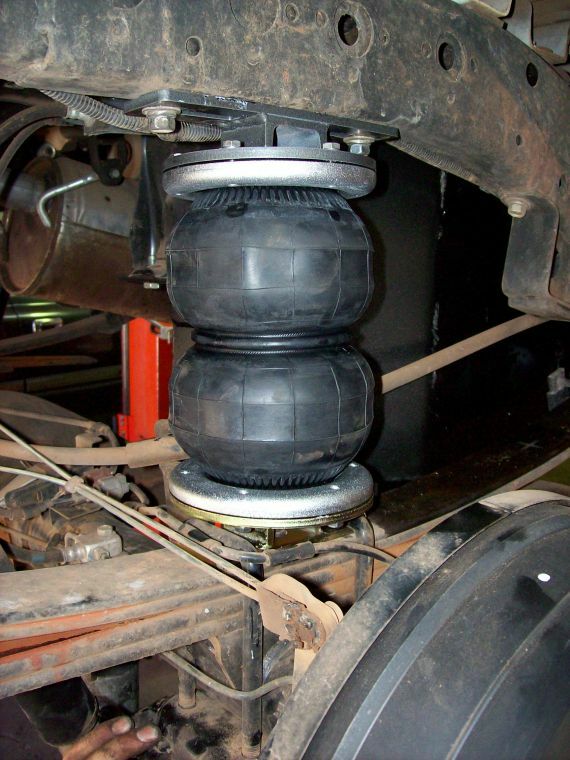 Both can be used for Extra Stability (rather than actual load carrying) for high loads. 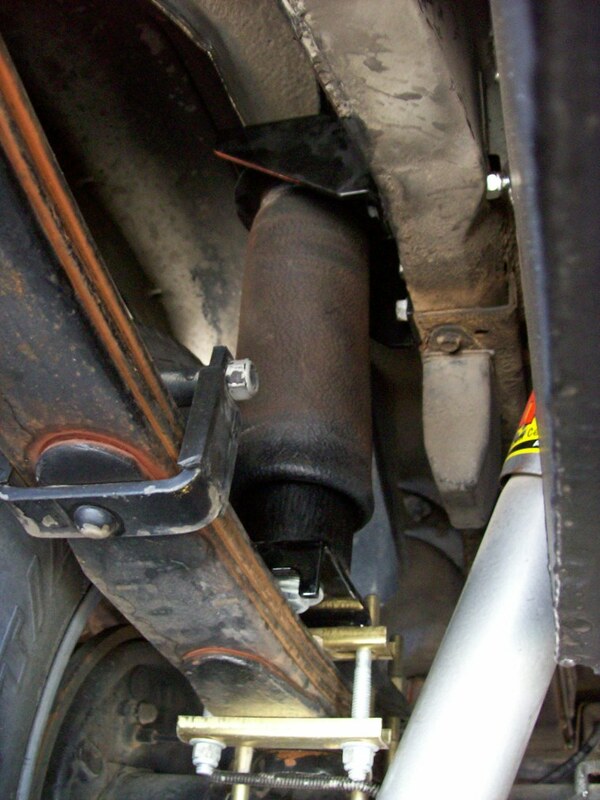 Each application is specifically designed to maximise the safe load carrying capacity and stability of the vehicle, without increasing the manufacturers Gross Vehicle Mass (GVM). Maintains front to rear level, hence improves braking effectiveness, and improved steering control with heavy loads or heavy towing. eg Slide-on Campers, Water Tanks/Fire units, Horse floats, Boats and Caravans. Adjustable to suit varied load mass, even varying inflation in each bag to achieve side to side adjustment. 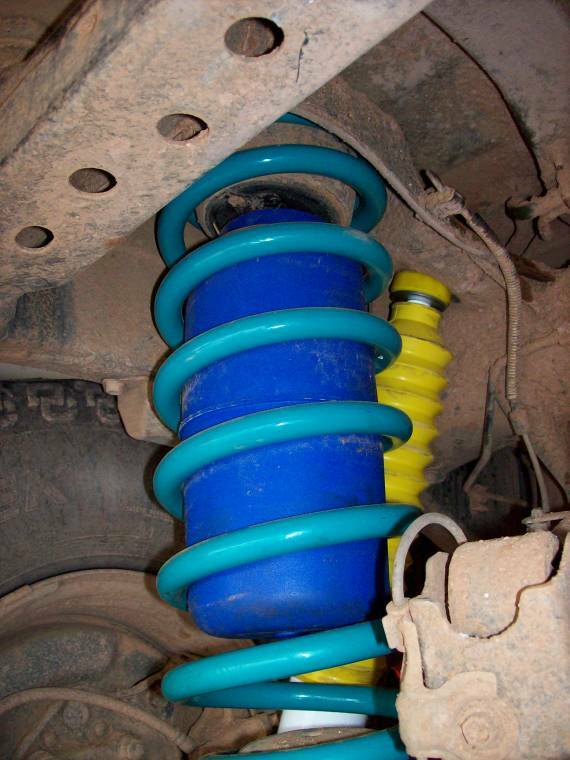 We can supply XHD springs but if your vehicle does big outback trips with heaps of weight and suspension articulation (eg Canning Stock Route, Simpson Desert Crossing, Cape York etc), then airbags will provide not only 'load assist' but also limit shock-absorber overheat and shock-absorber tower failure. It is not recommended that airbags ONLY are used, except for moderate use on reasonable roads. 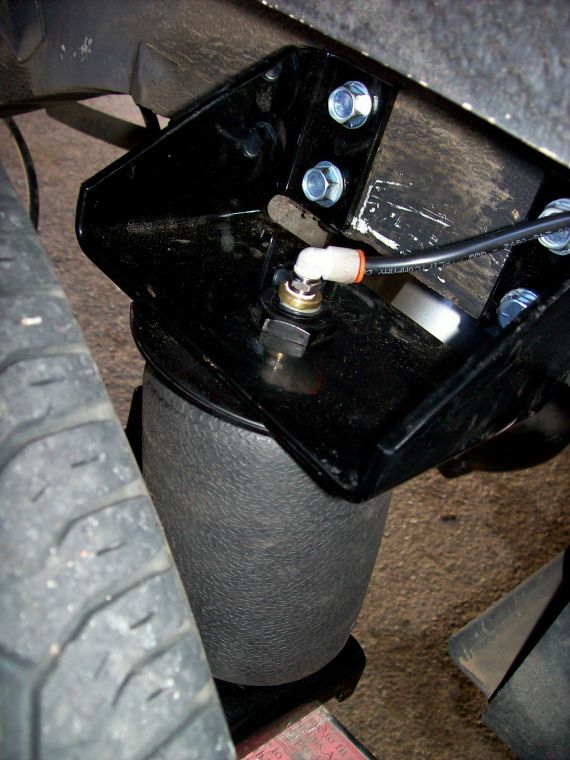 The single point loading that comes from not sharing the load into the chassis via the spring mounts (hence 3 load points for leaf spring vehicles) can result in chassis damage in excessively loaded vehicles driven for extended periods over harsh terrain. 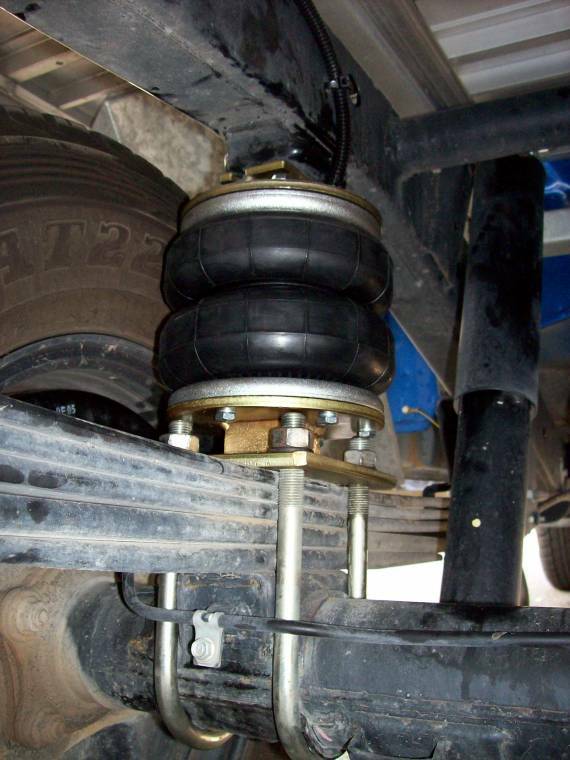 If used in conjunction with HD springs, the load is shared into the 3 points of the chassis, hence substantially reducing any risk of chassis problems. 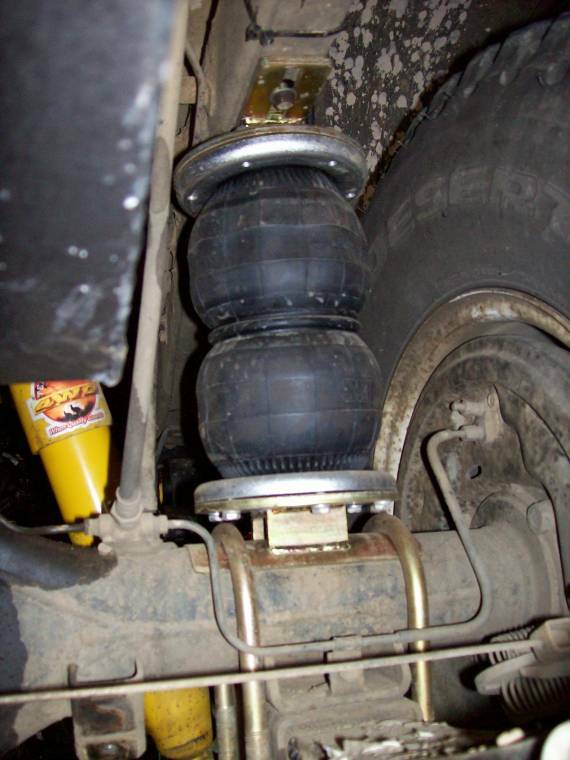 If existing air bags are fitted, then spacer blocks can be added to make these bags useful with higher springs. Available for a wide range of models. It would have been more work to get out of this bogging without the Lokka’s. We were in Mt Gambier Forrest. You can clearly see all 4 wheels spinning. This was out 2nd bogging and it was kind of deliberate. Used high lift jack to assist. The Lokka’s and the new suspension are great. Also note the Nissan recovery truck. Now for those ST tyres !